Art Talk: Updates AND Some Exciting News! Lots going on here in my crazy life. Right now, I'm home sick with laryngitis and an upper respiratory infection. I have no voice and if you caught me on Tuesday night on Helmar Live on Ustream you heard the beginnings of my downfall. I had a froggy voice then but now it's almost gone completely! Not fun for me! It's impossible to teach with no voice so I'm home resting and hoping to get back to it tomorrow. 1) I am a new Helmar USA Online Educator DT member! I will be hosting one Tuesday Ustream class a month and blog postings on the Helmar USA blog! If you missed last Tuesday's class, you can catch the recorded version. Don't judge the voice or lack of energy that I portrayed! I will be much more energetic next time... may kids and hubby were also being noisy! I need to find another location to hide out during my Live time! 2) On the homefront, I am so excited to announce that we are remodeling our gross kitchen! Okay, it's not that gross... I mean we do clean it, but it's old, cabinets are breaking, and the appliances are original to our move in 13 years ago! I am so ready to have the kitchen of my dreams! I picked out cabinets and I know I'm going to LOVE LOVE LOVE them.... Quarter Sawn Oak cabinets with Stainless Steel appliances! This is not our kitchen but an image that I found online that inspired my choices! The cabinets will look the same as here. I am not getting a double oven though... just don't need it but I love the stainless look! We have to pick out Quartz countertops, tile backsplash and appliances but mostly we have the design done! I'm so happy!! Merry Christmas to us... it should be done by then! 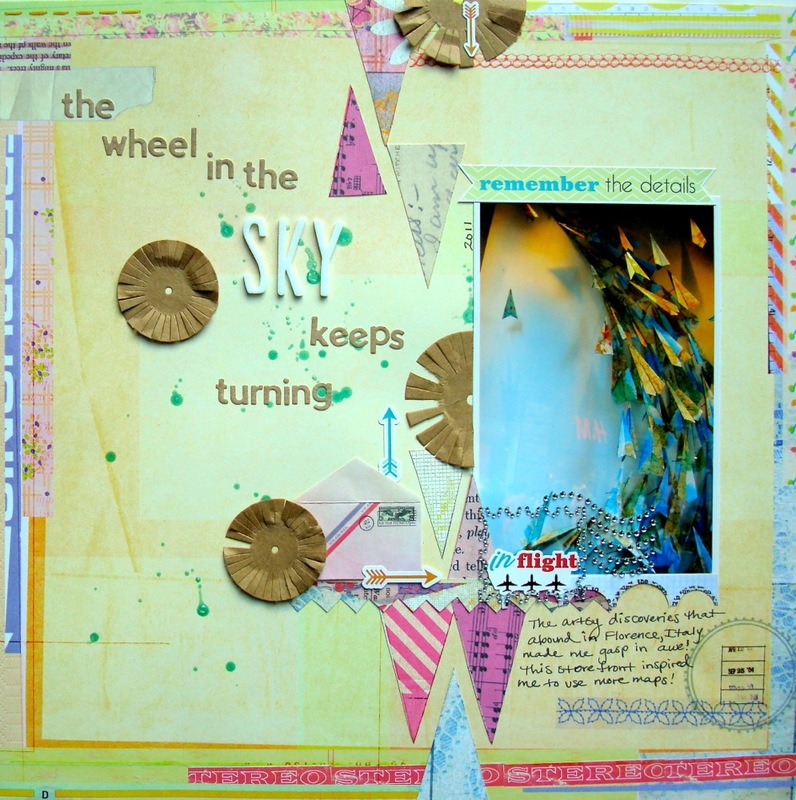 One of my layouts for October's Scrapbooking From the Inside Out's Journey kit. I used the lyrics from a Journey song for this one. The photo is from my trip to Italy last year. It was a store front window display. All the paper airplanes were made with maps! LOVE that! 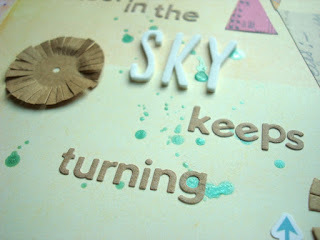 So I loved the kraft circle flowers and craft letters with this! 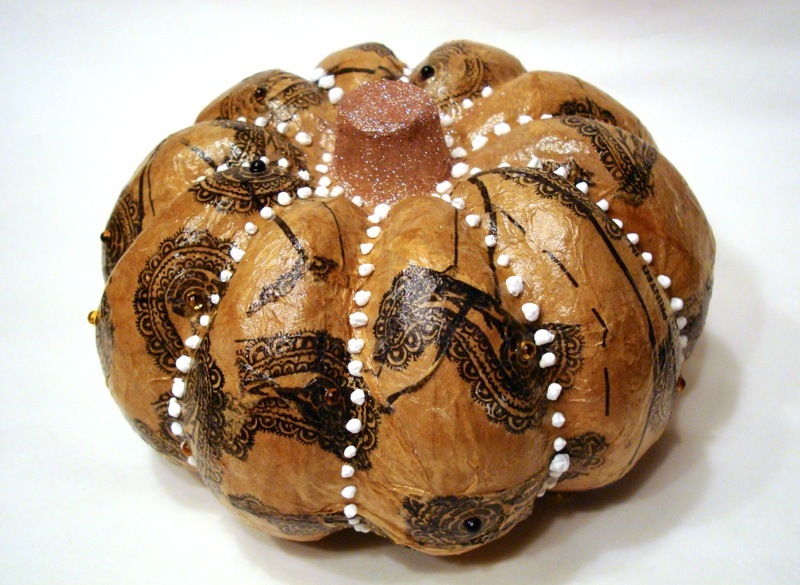 An altered paper mache pumpkin using Faber-Castell Stamper's Big Brush pens and Rubber Cafe stamps. I also used puffies paint from The Rubber Cafe! So fun! 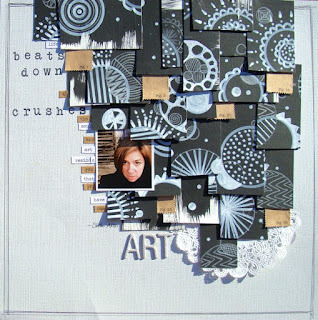 I created the pieces on this with Black Gesso on Mixed media paper. Once dry, I drew designs with a Stamper's Big White Pen and White Colored Pencil! I love this pen from Faber-Castell Design Memory Craft! It's opaque and awesome! I cut up the design into different sized pieces and created a shingle look. 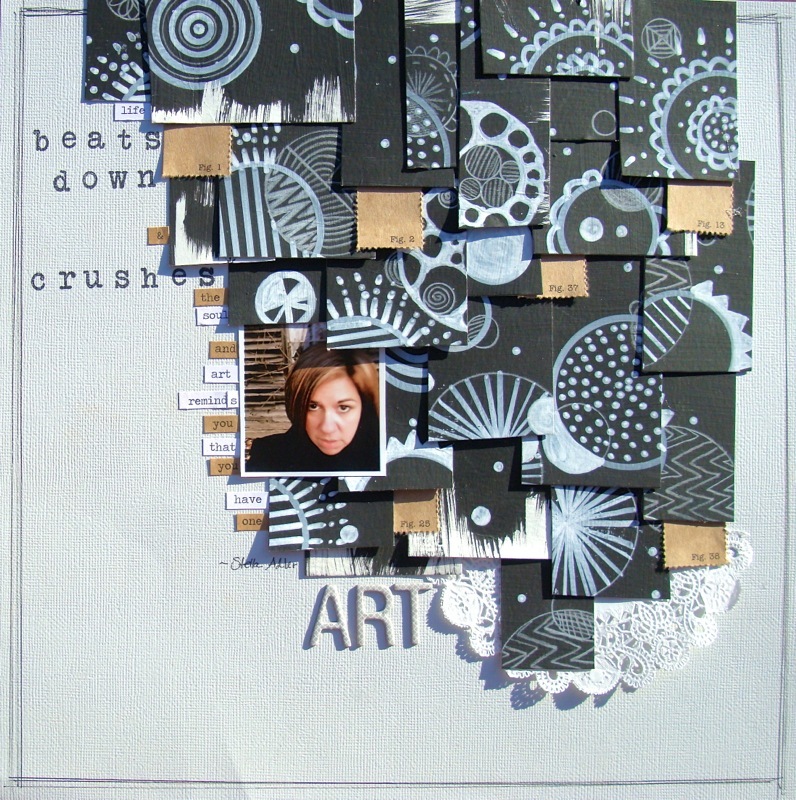 I added some Jenni Bowlin kraft tags and Tim Holtz words. This is one of my favorite pages! I was inspired by this Pinterest image. This artist does amazing work! I was so inspired by their work! 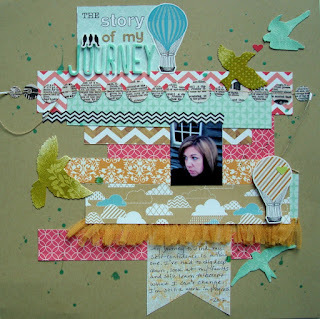 Thanks for letting me share my work and fun news! Hope I get my voice back soon! BTW... I picked a winner from the World Card Making Day post and it's Marianne! Email me your addy for a Gelatos set! I love all of your artsy stuff! Hope you feel better soon!